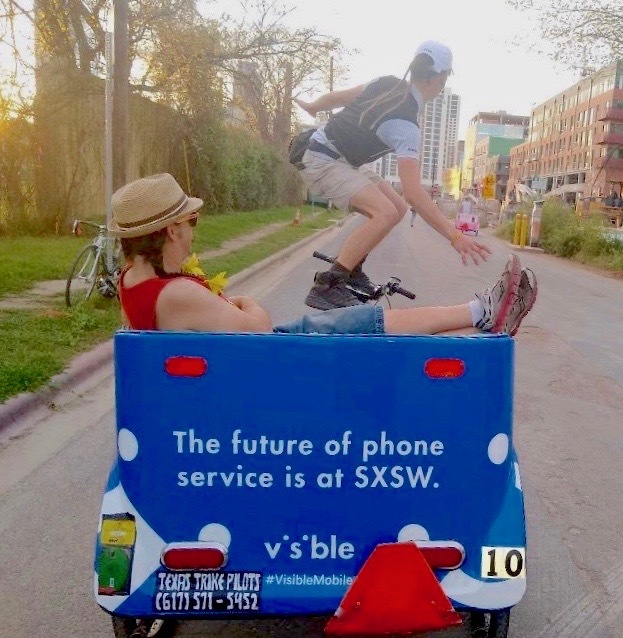 To grab attention at the 2019 SXSW Festival, VISIBLE - one of the nation's hottest and fastest growing new phone providers - hired GoGORILLA to deploy our fleet of branded Pedicabs throughout Austin! 10 Pedicabs wrapped in attention-grabbing blue branding raced festival-goers from show to show, exhibition hall to beer hall, all free of charge! And what could make these rides even better? 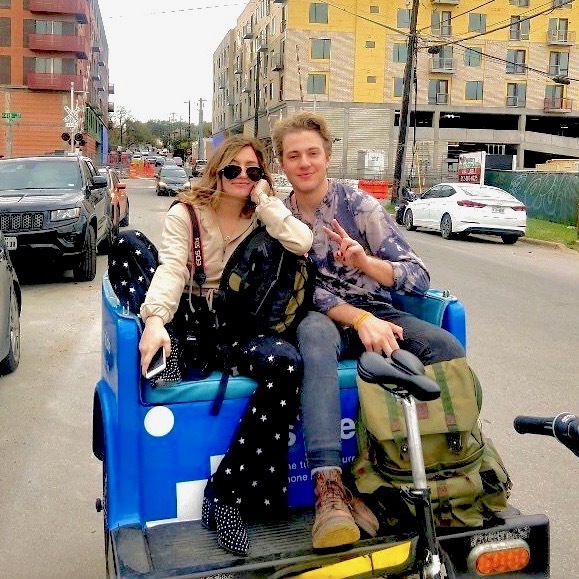 Every Pedicab was outfitted with iPhone and Android phone chargers, allowing riders to top off their devices in order to Tweet, Snap and Gram all festival long!